"Benchmarking" consists in studying and analysing what already exists in order to draw inspiration from it and make the best of it. Generally, this involves studying and analysing management techniques and modes of organisation. 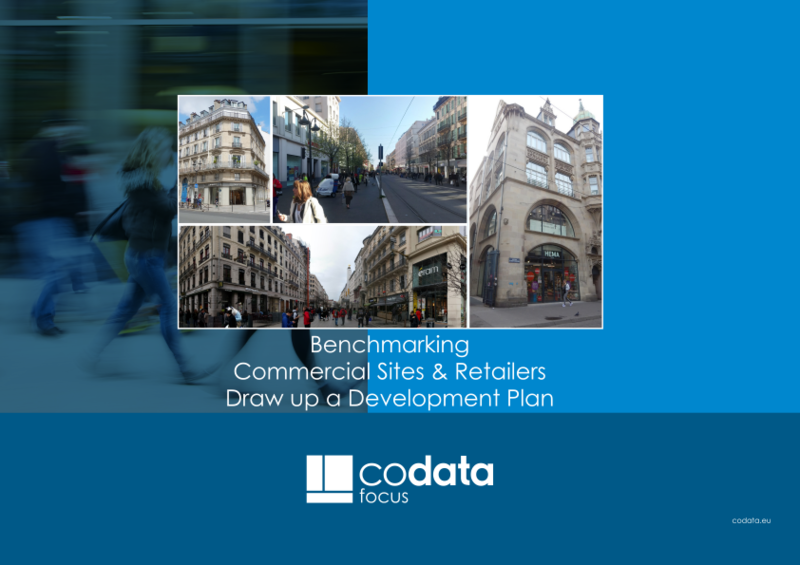 "Codata Benchmarking" consists in studying, comparing and analysing the existing locations of Retailers and the characteristics of the Commercial Sites in order to draw inspiration from it and make the best of it to improve network performance, refine the merchandising plan of a Commercial Site or complete a study. The observation of the field reality makes it possible to identify indicators (or "benchmarks") that will help in making decisions. Answering these questions becomes very easy with Codata Explorer and requires nor prior training or the use of complicated softwares. The Codata Focus "Benchmarking Commercial Sites & Retailers" discuss these questions through two concrete examples. We also discuss further answers that can be provided through data import (Xls files) into your own information systems.